$1 Million ID Theft Insurance: Policy covers certain fees, lost wages and fraud losses upon claim approval. 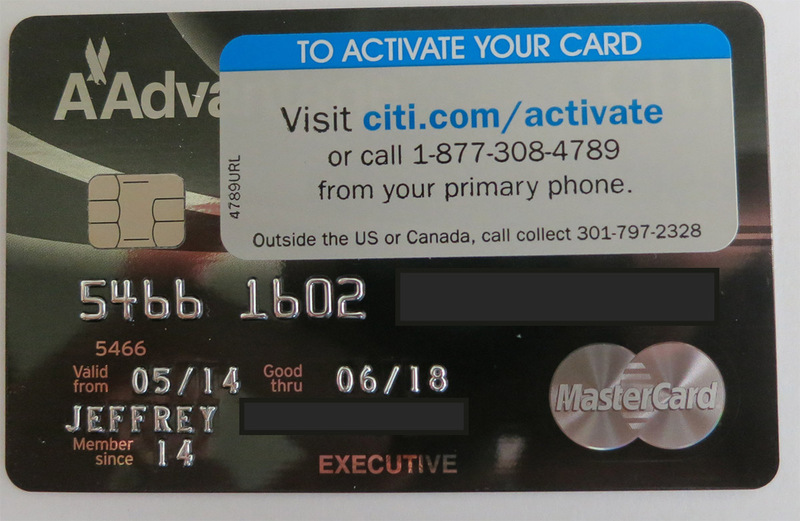 Credit Monitoring: We monitor your credit activity and send alerts when new accounts are opened in your name. If your subscription includes the Triple Bureau Option and you want to activate it, log into your profile and select Triple Bureau Monitoring and accept the terms of AllClear ID’s alert filtering policy. 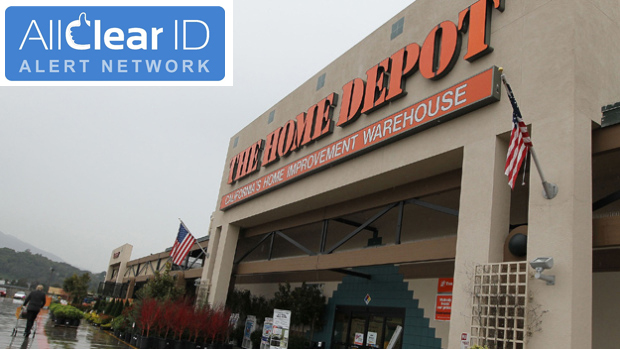 Go to https://homedepot.allclearid.com/PRO to activate your service. You’ll enter your unique redemption code and then register your account. That’s it! You should be all set. The AllClear ID team will supposedly be monitoring your identity by alerting you if there’s any suspicious activity on your credit reports and alert you about it. 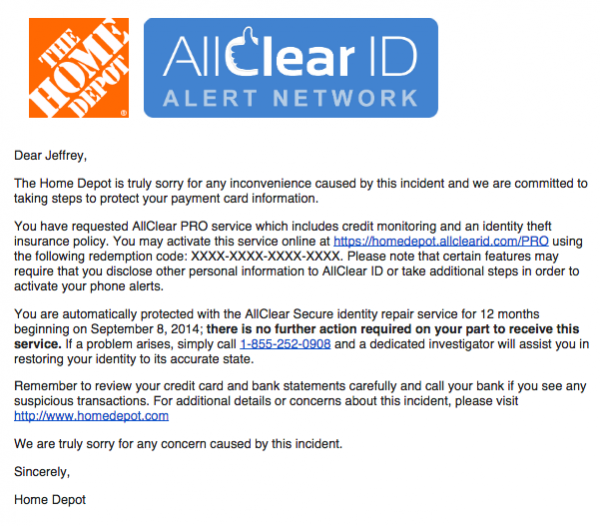 The Home Depot is truly sorry for any inconvenience caused by this incident and we are committed to taking steps to protect your payment card information. 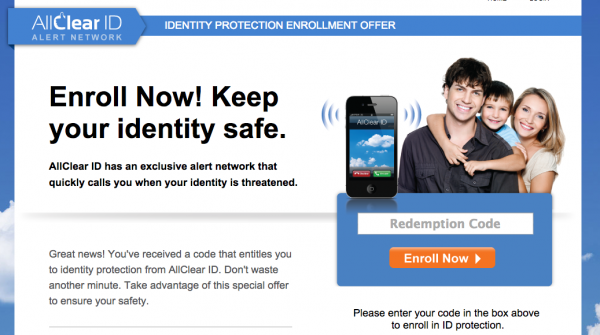 If you need identity repair assistance during the next 12 months, starting on September 8, 2014, the team at AllClear ID is ready and standing by to assist you. There is no action required on your part at this time. If a problem arises, simply call 1-855-252-0908 and a dedicated investigator will do the work to recover financial losses, restore your credit, and make sure your identity is returned to its proper condition. For additional protection, affected U.S. customers may enroll in the AllClear PRO service and affected Canadian customers may enroll in the Equifax Premier service at no cost to them at any time during the next 12 months. 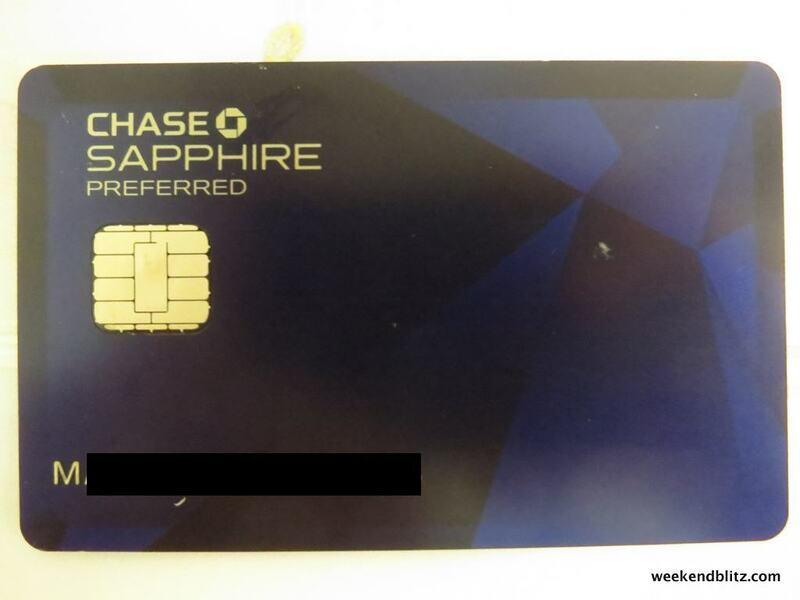 These services are available through September 8, 2015, and include credit monitoring and an identity theft insurance policy. You are eligible to receive these services if you used a payment card at one of The Home Depot’s stores in 2014, from April on. If you suspect your identity has been stolen, contact AllClear immediately at 1.855.434.8077 and their investigators will take it from there, give you up to $1,000,000 in coverage:. 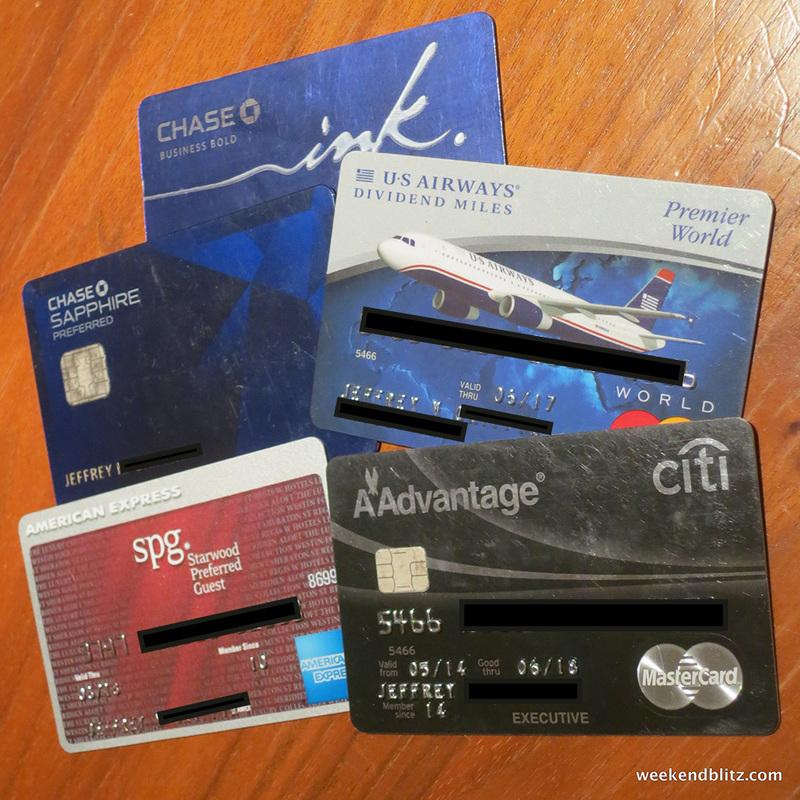 They will “complete all necessary documents to initiate the dispute process–Initiate disputes on your behalf with all creditors, credit bureaus, or other affected entities–Act as your expert and advocate when navigating the complicated process of identity repair–Ensure your information is returned to its pre-fraud status”. There is some uncertainty about the “Triple Bureau Option,” I am still working to verify if the Home Depot deal allows for this coverage. BOTTOM LINE: Think you might have shopped at Home Depot this year? Sign up for free credit monitoring for a year (a $179.40 annual value) and be safe rather than sorry–it can’t hurt!